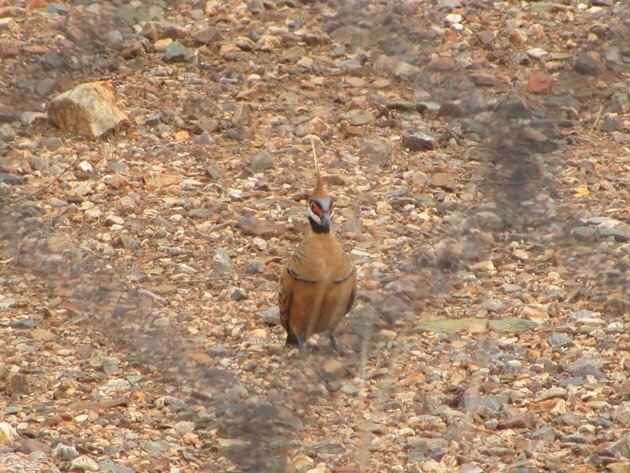 In Western Australia we have two races of the Spinifex Pigeon Geophaps plumifera, but neither are found in Broome. One race lives to the north-Geophaps plumifera plumifera and the other race lives to the south-Geophaps plumifera ferrugines. 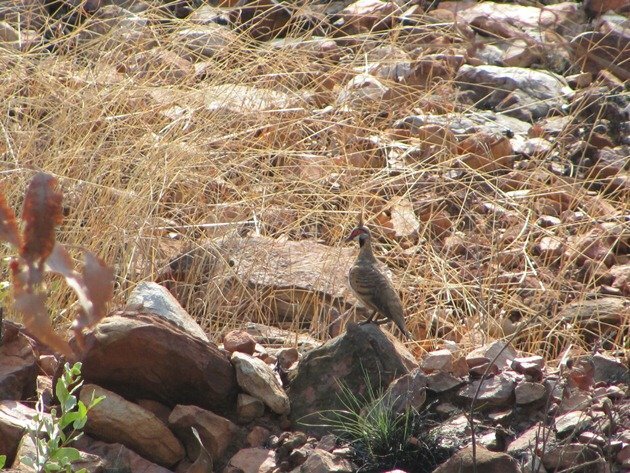 They both live in rocky areas and amongst what is traditionally called Spinifex grass. The grass grows in large dense clumps and is Triodia, a perennial grass, which has sharp pointed leaves that can easily enter your skin causing irritation and infection. It burns with dense black smoke and is about 40cm (15 inches) high. Numerous native animals can live amongst its dense structure. 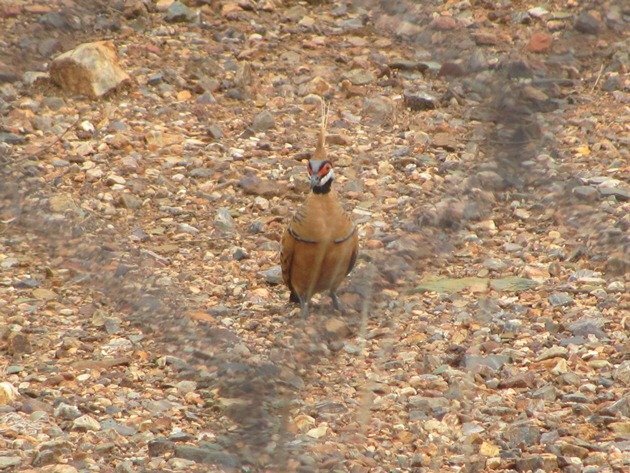 The Spinifex Pigeon race-plumifera-to the north of Broome has a white belly, but the ones we saw last year on our trip to Kununurra and surrounds were not keen to have their bellies photographed! The camouflage amongst the rocks is magnificent and without movement they can easily be overlooked. 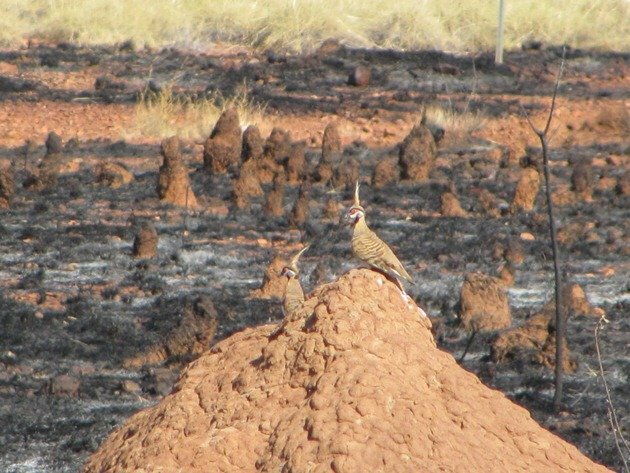 The first pair we saw on our trip were positioned on top of a termite mound and the odd shape on top of the mound gave them away….stop, reverse, admire and photograph. The area had recently been burnt by a fire and the spinifex no longer existed. It would soon return with just the natural overnight moisture and they would once again be less obvious. 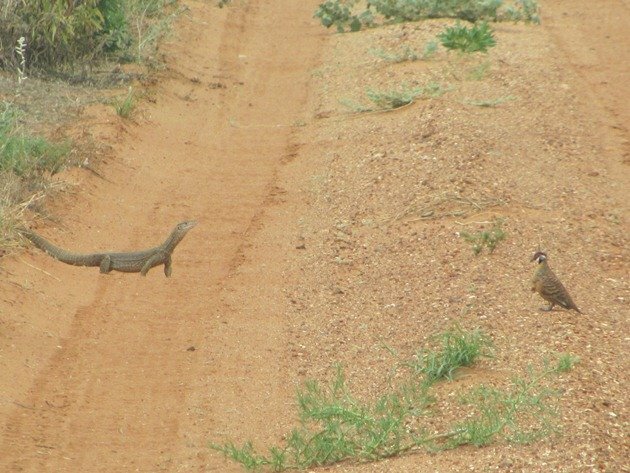 Another pair were observed on our trip to Lake Argyle and once again they were not too keen to have their belly photographed to show the distinct difference between their race and the one in the Pilbara. 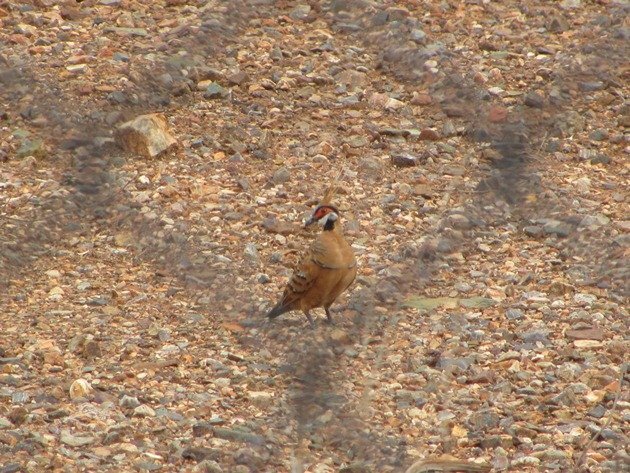 This year we have had the opportunity to bird around the Karratha area due to Grant’s work taking us there and so we have been able to observe the Spinifex Pigeon once again. This race-ferrugines-does not have a white belly and the place where we have seen it most easily is at the Poo Ponds (Waste water treatment plant). 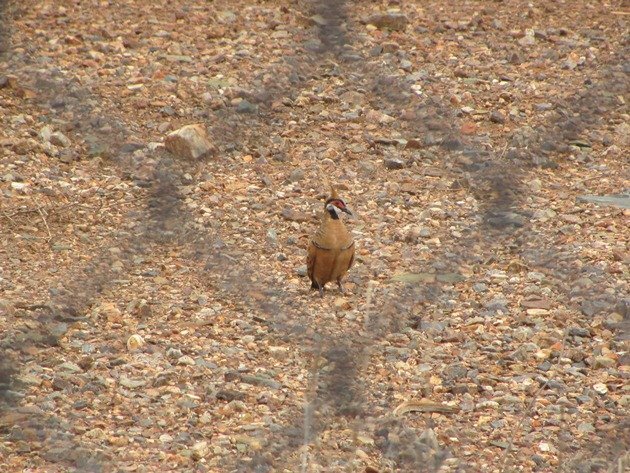 The problem with the birds are that they are either running along the outside of the fence at full speed with a short brief “quail like” flight to get back into the dense spinifex, or they are just inside the fence looking out. They are seed eaters and need to have access to water, so this is an ideal area for them to reside. 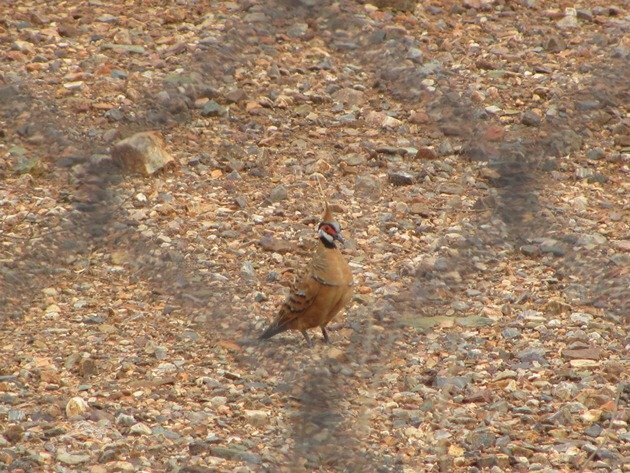 There was a Spinifex Pigeon very keen to be photographed just inside the fence and so rather than try and remove the fence from the photographs I will share with you the bird as “we saw it”! All the photographs were taken without getting out of the vehicle, because this proves most successful! The feathers that stick up on its head make it very distinctive and make a crest. If we do have a chance this year to return to the area where the white-bellied race reside I will definitely be attempting a front-on photo…even if it is inside a fence at the Poo Ponds! Wow! That is definitely the most awesome pigeon I’ve ever seen! Overload, overload, one of the planet’s most astounding birds!! If it ate bones and lived in high mountains, it would almost beat Bearded Vultures and earn the title “best bird of the world”.